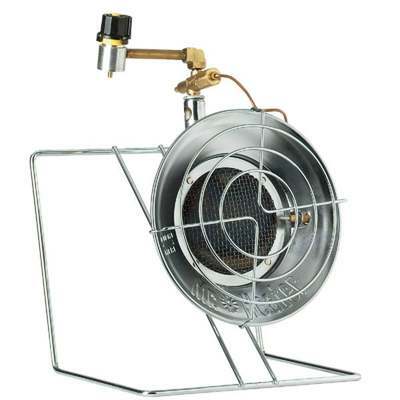 Infra-red propane heater or cooker has a safety shut-off valve, High-Medium-Low regulator, soft nose P.O.L., and polished chrome reflector. It connects directly to a disposable propane cylinder (14.1 oz. to 16.4 oz.) Heat can be adjusted from 10,000 to 15,000 BTU. Use for heating or as a portable stove (stand included).